LIC Policy with High Returns : Life Insurance Corporation (LIC) is one of the biggest company when we talk about insurance providers in India. The company is well known as one of the first companies to introduce insurance policies in India. In recent years, the company has introduced a wide range of insurance policies specially designed to suit the needs of customers in India. These insurance policies offer various benefits and can be bought at a low cost. There are a lot of insurance policies offered by LIC that offer high returns in the market. Before we go ahead and know about the Best LIC Policies with High Returns, let us know why should you purchase a life insurance policy. Why should you buy a Life Insurance Policy? Insurance is undoubtedly one of the best investments that a person can make. Insurance policies provide you and your family financial protection as well as it acts as a savings scheme. However, it is important that you choose a life insurance policy according to your needs. A life insurance policy with high return works best for a person who wants more than protection from their life insurance policy. There are different kinds of life insurance policies like endowment life insurance policy, money back life insurance policy, special life insurance policy to choose etc. You can also take the help of financial websites or advisers to compare between life insurance policies to choose the best policy that suits your need. There are several LIC life insurance policies that offer high returns. Listed below are the LIC high return life insurance policies. New Endowment plan from LIC is a participating non linked plan that provides financial protection as well as high returns. The sum assured is payable on death as death benefit and is 10 times the basic sum assured. This plan also provides other advantages through participation in profits of LIC. The policy also provides survival benefit through basic sum assured with vested benefits. Jeevan Anand Plan from LIC is a high return LIC policy which not only provides financial protection to your family in case of your death but also guarantees best returns on the investment made. Basic Sum Assured, vested Simple Reversionary Bonuses and Final Additional Bonus is paid as survival benefit under this LIC plan. LIC provides two types of money back plans which ensure that you get the worth of your money. The plan allows to participate in the profits of LIC and is entitled to receive reversionary bonuses along with final addition bonus. This plan also provides optional riders. LIC Jeevan Saral is a non unit linked insurance plan by LIC with double death benefit of sum assured with return of premium. This plan provides high returns with a lot of other benefits. The sum assured in Jeevan Saral Plan is 250 times the payable monthly premium. The policy also has the option for partial surrender after 3 years into the policy. This is undoubtedly one of the best LIC high return policies. How to Check Status of LIC Policy ? How to Register LIC Policy Online ? How to Pay LIC Premium through Online Method ? Previous How to Check LIC Policy Status ? What are the types of Car Insurance Cover ? 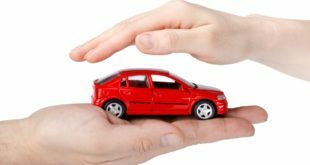 How to choose the best Car Insurance Policy in India ? What is Zero Depreciation in Two Wheeler Insurance? Most of the LIC policies are returning almost in a similar fashion only. I think hardly 5% – 6% on investment. I think endowment policy will be the best for you. You need to invest 5000 monthly for 25 yrs & at the end you will be getting 41 lacs. You could expect something like 14 to 15 lacs after 25 yrs. For exact amount you need to talk to a LIC Agent. I want to take a policy which provides cover to life worth 5000000. along with tax saving . along with good return. kindly name the policy with monthly or annually premium? My age is 27, I want to buy a pensain plan so which plan will be best for me. Hi, I am invest every month 1000 to 1500 so please suggest me…. u can buy jeevan anand & Jevan lahksya.. I would like to take an LIC policy for my child of 3 yrs old, Please suggest me the best plan to go. I would like to know about the lic policy for my child of 3 yrs old.